Welcome to Surfsong Vacation Rental Properties ! 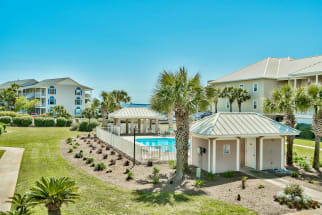 Emerald Coast by Owner is proud to offer you a large variety of properties all throughout the area, equipped with many of our typical luxuries! We give you properties that come with a relaxed, comforting vibe. Surfsong is a small street in Destin, with some of the most elegant homes on the market up for vacation rental. Surfsong is located right by the beach, and gives you some amazing sights, easy access to activities, and just a general convenient location! While you stay here, the possibilities are endless, some of the most popular things to do include parasailing, golfing, boat tourism, jet ski rentals, deep sea fishing, fishing off shore, paddle boarding and more! You can also relax on the beach, go to the nearest spa, or hangout at the house. As for food, you won't be disappointed! There's a wide variety of delicious local seafood spots all offering some great food, excellent service, and an amazing view of the coast for you to enjoy while you dine. Some places that offer this include Pompano Joe's, Dewey Destin's Seafood and Restaurant, and the Back Porch Grill! Also, if you're looking for a good time and drinks, don't miss out on McGuire's Pub, there's no such thing as a bad time there! Discover your next vacation rental with Emerald Coast by Owner at Surfsong in Scenic Gulf Drive Central. Book with us now! When you book with Emerald Coast by Owner, we make it easy for you to choose where, when, and what you want to do on your trip. Contact us with any questions!